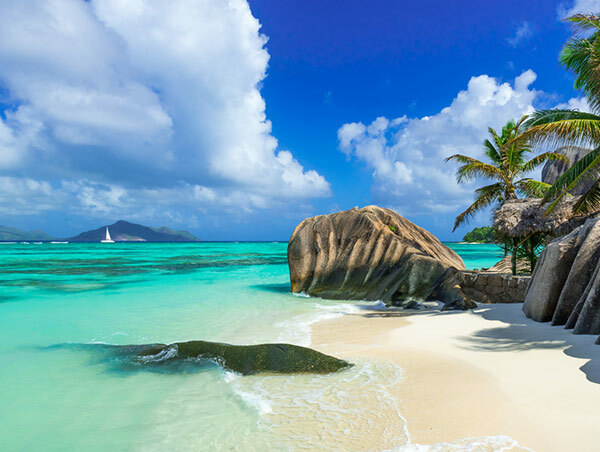 The Seychelles is made up of a collection of 115 granite and coral islands spread over 1.3 million square kilometres of ocean. Only 14 of these islands have tourism access, each with its own distinct atmosphere. The secret lies in selecting the right island or the right combination of islands. Nestled in the Indian Ocean, just 4 degrees south of the equator, a thousand miles due east of the African coastline. With palm-fringed beaches, soft white sand, turquoise waters and sunshine in abundance, Seychelles represents the ultimate tropical island experience. The pace of life is slow and relaxed, in total harmony with the splendour of the natural environment. Strict controls on tourism development ensure that the islands remain unspoilt and sustainable. Over 50% of the total landmass has been designated as National Park, Nature Reserve or with protected status. Mahe - Surrounded by coral reefs, this is the largest of the islands, measuring only 17 miles in length by 5 miles in width, and hosts the international airport, the port and capital (Victoria), the majority of the population (90 per cent) and most of the hotels. Mahe is best known for its beaches with nearly 70 on offer, providing crystal clear waters and shady palms. Beau Vallon Bay is the most popular beach area and several hotels are located here. The main town, Victoria is easily explored in a couple of hours and attractions include the local market, the 100-year-old Victoria Botanical Gardens, (with coco-de-mer, giant tortoises and orchids), and the National Marine Park. Excursions can be made in glass-bottomed boats from Victoria to nearby St Anne Marine National Park, which encloses the islands of St Anne, Beacon, Cerf and Round. Praslin Island - Praslin is just a 15-minute flight from Mahe and is the second largest island in the Seychelles archipelago. It is famous for the Vallee de Mai National Park, a UNESCO World Heritage site, which contains the double-nutted coco-de-mer palm. The park is also home to the Black Parrot, the Seychelles national bird. Regular excursions are available to smaller islands such as Aride, Cousin, Curieuse and La Digue. La Dique Island - Just over three hours by schooner from Mahe or 30 minutes from Praslin, this beautiful island is the breeding ground of the rare black paradise flycatcher. There are very few cars and the ox-cart remains the principal means of transport (although bicycles may be hired). There are beautiful old plantation houses, as well as a vanilla plantation, copra factories and superb beaches. Fregate Island - The most easterly and isolated of the granitic islands, Fregate is also the home of the almost extinct magpie robin. Fregate is 15 minutes by air from Mahe. Curieuse Island - Approximately 3km (2 miles) long, Curieuse is covered by lush vegetation and huge takamaka trees. It has been designated a reserve for giant tortoises. Day trips may be arranged from Praslin. Desroches Island - Accessed by light aircraft, situated 145 miles south west from the main island of Mahe, Desroches Island is approximately 4 miles long by 1 mile wide surrounded by extensive white sand beaches and the interior with an abundance of coconut plantations, meandering tracks and walks. 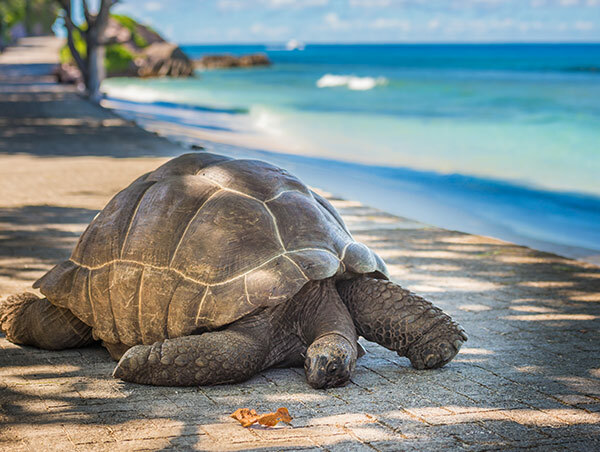 This is truly a fascinating tropical island full of wonderful natural surprises around every corner not to mention the ponderous giant tortoises that you are bound to meet during your stay. Sainte Anne Island - The \'Beachcomber\' tradition for top quality luxury hotels has made its mark on the private Ste. Anne Island, 3 miles off the east coast of Mahe. The resort offers a range of spacious luxury villas, 29 with private pools, plenty of sport and leisure facilities plus a Clarins Spa with a tropical slant and views overlooking distant Victoria and the marine national park. The Outer Islands - The Outer Islands, lying to the south-west of the Inner Islands, are more remote and widespread. There are four groups in all, the largest of which is the Amirantes Group containing the island of Desroches, home to the luxury resort of the same name. Further south lie the Farquar and Alphonse Groups and beyond those, closer to Madagascar than Mahe, lie the Aldabra Group, home to the world\'s largest raised coral atoll and a huge variety of marine and bird life. Emirates flies from London Heathrow, London Gatwick, Manchester, Birmingham, Glasgow and Newcastle via Dubai. Qatar Airways flies from London Heathrow, London Gatwick and Manchester via Doha. Mahe Island (SEZ) (Seychelles International) is 10km (6 miles) southeast from Victoria (journey time - 20 minutes). Traffic drives on the left. There are paved roads only on La Digue, Mahe and Praslin; elsewhere the roads are sandy tracks. Seychelles enjoys a pleasant year round tropical climate. The islands lie outside the cyclone belt and there are no extremes of weather. Normal temperature range is between 24°C and 33°C. The north-west trade winds blow between October and May when the sea is generally calm and the weather hot and humid. This is the best time for diving. Between November and April the southeast trade winds blow and the weather is generally drier and cooler, with rougher seas, particularly on the southeast coasts. Short-lived downpours can occur at any time of the year. The three official languages are: Creole, English and French. 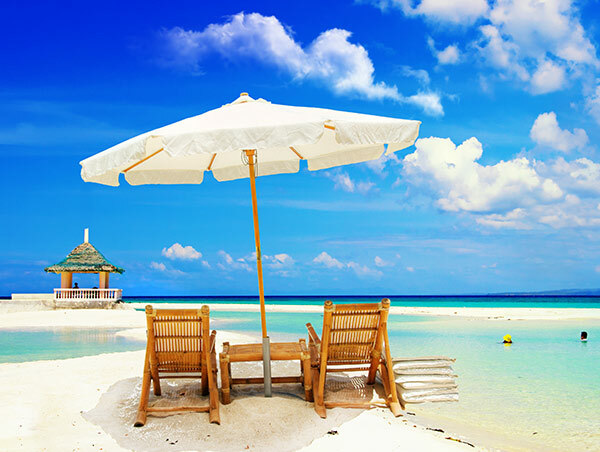 There are no visa requirements to enter the Seychelles. Visitors require a passport valid for more than 6 months from the date of arrival. Seychelles is disease free. A valid yellow fever vaccination certificate is required from all travellers over 1 year who have passed through a partly or wholly infected area within the preceding 6 days.